The latest issue of games™ is now on sale, celebrating the launch of Wii U with a unique interactive sliding magazine cover. The first of its kind, elements of the New Super Mario Bros. U cover can be changed by removing a background card which hides the full software line-up for the anticipated console. “Creativity and imagination are at the heart of Nintendo’s values, so it’s a pleasure to work with a magazine that feels the same way during the run-up to the launch of Wii U,” commented James Honeywell, head of consumer marketing at Nintendo UK. games™ editor-in-chief of games Rick Porter adds “It’s always exciting creating something that nobody else has tried before, and I couldn’t be happier with the end result. 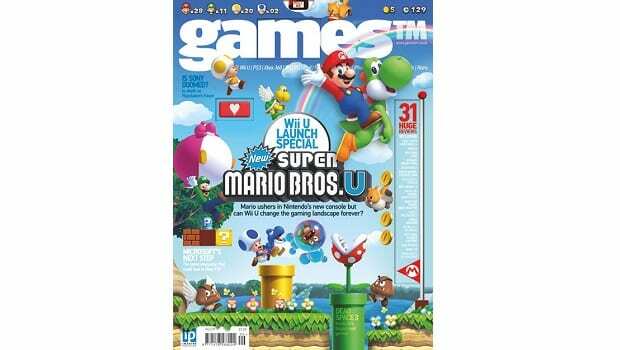 games™ is available to purchase at newsagents and supermarkets, or online at ImagineShop.co.uk. Digital editions can be downloaded from GreatDigitalMags.com.